UK Vision Strategy is calling for education professionals who support children with vision impairment to have their say on the Strategy's future direction. 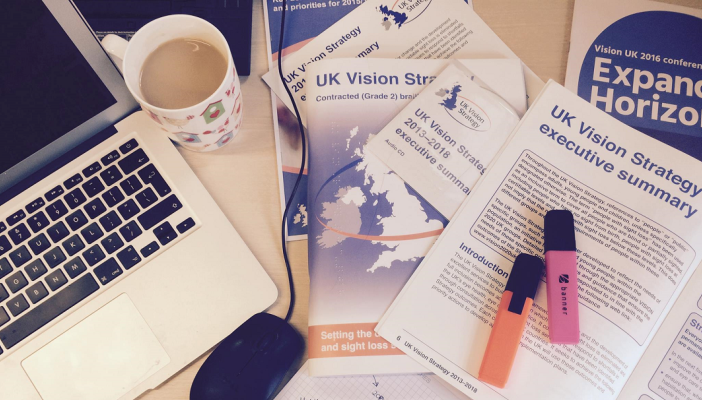 NCVO Charities Evaluation Services (NCVO CES) is currently conducting a six month evaluation and consultation project to inform the future development and delivery of the UK Vision Strategy and collaborative work in the eye health and sight loss sectors. The NCVO CES researchers want to hear from you about your experiences as a professional working in the eye health and/or sight loss sectors and what you think are the key challenges and opportunities for the future. Please make your voice heard by taking part in this survey. For more details about the project, please visit the UK Vision Strategy website.